Think of your postcard as an advertisement. On this basis, you would have a headline, image and bodycopy. The headline will determine whether the customer reads the bodycopy (text). Personally, I have always liked DL sized postcards (1/3rd A4). Print your postcards on a reasonably thick stock, so that they are not flimsy. If you are starting out with this promotional technique (of which there are several hundred), I suggest that you start with low quantities and run some tests. If you would like to use this idea within your marketing, I can help with strategy, ideas, headlines, copywriting and artwork. I hope that you have enjoyed reading about postcard marketing benefits, you can ask questions about this topic within The Marketing Compass website. 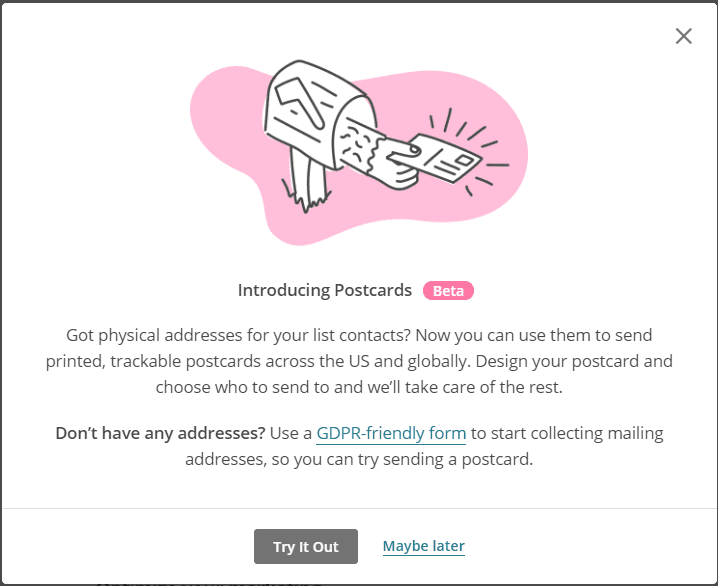 Interestingly, MailChimp has launched a postcard marketing service. PS Remember that all of your marketing has to be GDPR compliant if your business is in Europe.